Ten years ago, the most important thing to remember about your website is that Content Is King. It still holds true, but the dynamics of how we use, share and create content changes all the time. Part of that is thanks to Google, which controls the majority of search traffic here in the U.S., but part of it is related to the tools we use to search. Google Home, Alexa, Siri, Cortana – not only has voice capture technology improved, leading to better answers to our queries, but we’re asking more and more questions: by December of 2017, “one-in-six Americans (16%) own[ed] a voice-activated smart speaker, up 128% from January 2017,” per Edison Research and NPR. Asking and answering questions. Aiming for the Google Answers box at the top means asking the right questions on the page, and answering those questions succinctly and easily. Breaking up long narratives. Call outs, bullet lists, diagrams, pictographs – keep people’s attention by presenting easy-to-understand content in easy-to-digest ways. Refining as necessary. What worked last year doesn’t always work this year. You need to readjust and revise when necessary, without losing the core message of your company or brand. Offering additional information. Some people want to skim; some people want to learn as much as they can. Creating content that allows both types of users to find the answers they seek is critical. Sounding like YOU. Nobody wants to talk to – or listen to – a robot. Your content needs to be on message, but it also needs to sound like you. Kill the jargon and answer people openly and honestly. Putting your best foot forward. If your company is offering an innovative service, or a state-of-the-art product, or an improved version of something that is already in high-demand, don’t bury it: promote it. Make sure that what you do best is displayed right on the front page. If you think about the way people speak and ask questions, and create content that responds to that, you’ll be in good shape. Almost everyone’s smart phones have geo-location services built in; they’ll be able to find you even if your site doesn’t use the old-school “Small Town, USA product” over and over again. Today’s “good” content is all about casting a net that works for you. 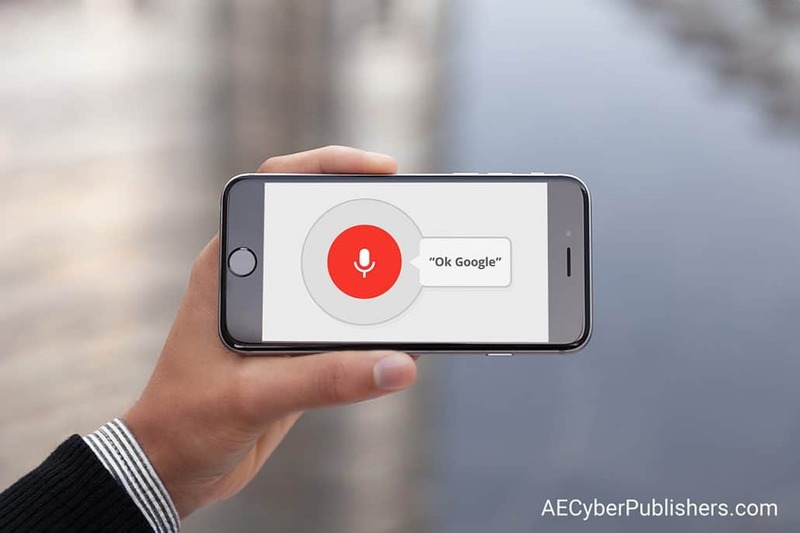 Whether you’re building a global brand across all age demographics, or highlighting a niche service for a specific population, you need to be prepared for voice search. The best content on the web could get lost if you don’t. Ready to take your web content and design to the next level? At A&E Cyber Publishers, we create websites built with your needs in mind. Our team knows how to craft content that reaches your ideal demographic, enabling us to market your brand in the best possible way for you. Please call 201.923.9938, or fill out our contact form to get started today.